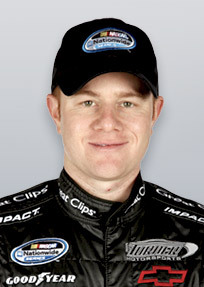 Hillman Racing today announced that Jason Leffler will finish out the season behind the wheel of the No. 27 Hillman Racing entry with this weekend’s NASCAR Camping World Truck Series finale at Homestead-Miami Speedway. Leffler, a 14-year NASCAR veteran that spent the early part of the 2012 season in a Kyle Busch Motorsports truck, will pilot the No. 27 www.LittleJoesAutos.com Chevrolet Silverado in Friday night’s Ford 200. Leffler, who has competed in all three major NASCAR touring series with one Camping World Truck Series and two Nationwide Series victories to his credit, enters the weekend event with 55 NASCAR Camping World Truck Series starts, in addition to 294 NASCAR Nationwide Series and 72 NASCAR Sprint Cup Series starts. The 37-year-old Long Beach, California, native will make his 10th truck series start of the season on Friday, and in his previous nine starts, Leffler has recorded six Top-10 finishes, including a season’s-best fourth-place finish at Charlotte Motor Speedway. Rookie Travis Miller, who has three truck series starts for Hillman Racing this year, will pilot a recently updated Hillman Racing No. 25 Chevrolet this weekend as well. The 24-year-old Chesapeake, Va., resident posted a season’s-best 24th-place finish at Kentucky in September and looks to build his intermediate track résumé with a strong performance in the 2012 series finale.